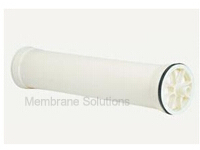 The use of reverse osmosis is becoming the accepted standard for desalination. 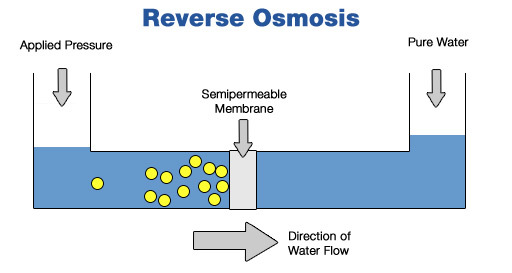 Reverse osmosis (RO) system has been used for many years to remove dissolved substances from seawater, with mixed success. Water feed must be pretreated to remove organics, algae, and fine particles that, in most cases, cause RO systems to foul prematurely. 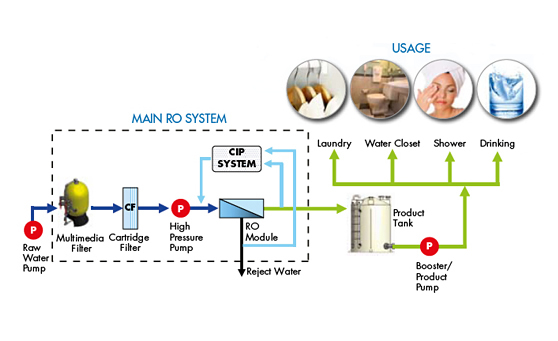 Pretreatment systems capable of providing a filtrate with low SDI and turbidity values are of critical important for RO applications. MS® provides a cost-effective and typical pretreatment method with these process multi-media filters with coagulation, followed by active carbon filters and cartridge filters.